This book is the last literary contribution of His Holiness Swami ShivomTirth Maharaj to the spiritual world. The deep mystic secrets revealed by Swami Shivom Tirth Maharaj are a final blessing to all the spiritual aspirants and a testimony to his profound love and affection for all of us. His Holiness Swami Vishnu Tirth Maharaj, a great contemporary Siddha of the Shaktipat tradition, was in contact with the ancestral masters of his lineage. The divine encounters and experiences of Swami Vishnu Tirth Maharaj with these revered masters are the essence of this book. Born in the 13th century, His Holiness Swami Paramanand Tirth Maharaj, the blazing pillar of Shaktipat tradition, is immortal, believed to be living even today. In the past 800 years, he initiated only two spiritual aspirants. One is Lall and the second, Swami Mukund Tirth Maharaj. The great Yogini Lall was born in Kashmir in the 14th century. Immersed in the 'pure love of the Supreme Lord, her compositions, "Lall Vakh", are still popular amongst Hindus and Muslims alike. However, her state of Absolute Unity and her inner spiritual journey, unknown to the literary figures as well as historians of those times, are the central topics of this book. Lall is said to be alive even today, immersed in profound meditation in an invisible form. 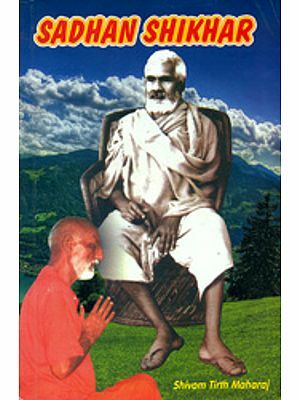 Trailoki Baba from Kerala, still present in his physical form, is the current controller of Shaktipat knowledge in the entire world. His influence extends to other realms of the Universe . This book is a shining beacon of light for all spiritual aspirants across all the religions and traditions of the world. The seekers of the Supreme Lord will be able to see their path clearly in the aura of this book's radiance. Swami Shivorn Tirth 'was born in 1924 in a village in Punjab, with the name Om Prakash, He pursued university studies in Lahore, but was compelled by the partition of India to return to Punjab with his family. There, as a householder, he aspired to an ideal way of life, devoted to the pursuit of higher objectives, After coming to know about the spiritual attainments of Swami Vishnu Tirthji Maharaj, he sought permission to join him, He bid farewell to his family and was initiated in 1959. Swami Vishnu Tirthji arranged for his disciple to be in the company of many distinguished spiritual personalities and to visit important religious centers. After receiving initiation into the order of renunciation (Sanyas), which he took in 1965. he was given the name of Swami Shivom Tirth. Swami Vishnu Tirthji afterwards authorized Swami Shivom Tirth to succeed him and propagate the system of Shaktipat for the welfare of all people. 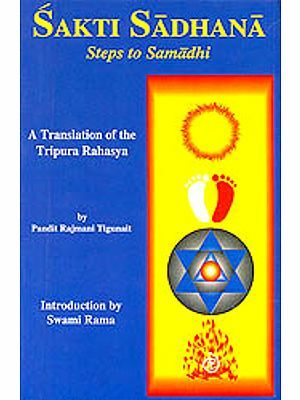 Since then, Swami Shivom Tirth has traveled to many countries of the world, including the United States, His works published in English arc: A Guide to Shaktipat; Rays of Ancient Wisdom: Sadhan Path. Trek of Spirituality: Shivom Vani, The Songs of Shivom, Churning of the Heart trilogy. The Second Dawn and Shri Gita. Parmanand Tirth Maharaj, Mukund Tirth Maharaj and Gangadhar Tirth Maharaj belonged to an era when the knowledge of Shaktipat [descent of Spiritual Energy] existed in the form of an internal flow. The spiritutal aspirants of Shaktipat in those times hesitated to unravel themselves before the common masses. Far from public gaze, they enjoyed the spiritual bliss of Sadhan in complete solitude in some remote mountainous caves, hilly peaks or desolate ruins. As per the prevalent belief of those times greater the secrecy of Sadhan, the more it would advance. So there was neither any literature composed nor any discourses held. The subject matter of Shaktipat was not even discussed till one did not come across a highly advanced and deserving aspirant. In the entire country there were just a handful of merited spiritual aspirants of Shaktipat. An aspirant was evaluated exhaustively before he was accepted in as a disciple. 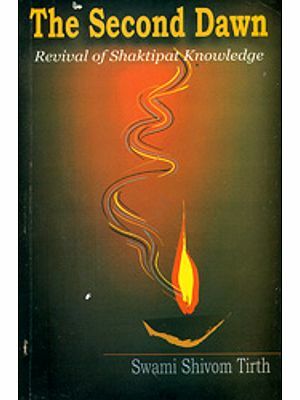 As a result, the masses remained totally unaware of the awakening of Shakti [The Divine Power] as well as Shaktipat. It was the practice of Aanvopay [spiritual practice through self effort] which was more prevalent amongst the masses. 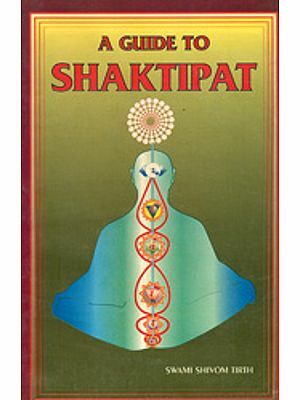 However to its credit, the standard of Sadhan was maintained at a very high level in the spiritual practice of Shaktipat, though only a few could benefit from it. It was Swami Narayan Tirth Dev Maharaj who heralded Shaktipat amongst the masses, at the same time very ably maintaining the standard of Sadhan. Before initiating anybody he would satisfy himself diligently. There wasn't an iota of greed or attachment in his personality. He was very strict regarding the discipline of his disciples. Initiations were carried out with the singular purpose of spiritual welfare of the disciples. Though he made Shaktipat easily accessible to the common masses, he also maintained the discipline as per the demands of this knowledge. Time changed and Shaktipat continued its spread everywhere. Many traditions came into existence. Enormous literature was composed and discourses abounded. The grandeur of Ashrams, numerous amenities for the disciples, initiations without determining the worthiness of the disciples and the accompanying lack of discipline led to slackness in the system. The grand edifice of Shaktipat mutated into a ruin. The more it spread, the weaker it became. A competition set in to increase the number of disciples. If we compare our state of mind to that of our earlier Gurus, we will know as to where we stand today. We are not proceeding in the direction that we were meant to advance in. We are not doing what we ought to have been doing. We are not making what we were to make. This is an extremely deplorable situation facing the spiritual aspirants today. This very fact has inspired me to reveal the spiritually oriented and educative narratives about our past Gurus for the benefit of my own self and that of other spiritual aspirants. Building upon the mysterious facts of those narratives which Gurudev Swami Vishnu Tirth Maharaj very mercifully revealed to me, I will attempt to write the following pages within the constraints of my limited abilities. It is true that all spiritual aspirants are not alike. Some are good and some are so only for name sake. It is also true that most of the aspirants are not walking into the foot steps of our earlier Gurus. It is very common to see the aspirants engage themselves in mutual rivalry, slander and condemnation of each other. For hours they will sit and derive pleasure in unnecessary conversation, devoting the least possible time to Sadhan. When they sit in Sadhan they try to get up soon. The little time that they devote to Sadhan, they will be thinking about the world only. Their eyes may be closed but the focus of their thoughts is the world outside. How is it possible for such an aspirant to progress spiritually? I am not trying to preach anything here. There are numerous flaws within me. How can a person who is himself flawed give sermons to others? This is the task of the Siddha Gurus [accomplished and perfected]. Whether it was Parmanand Tirth Maharaj or Gangadhar Tirth Maharaj, they did not preach verbally. They imparted muted sermons by embracing divinity in their lifetime. What is meant by Sadhan and how it should be carried out was demonstrated by them through actual practice and performance. They did not become the stars of the celestial sky in a day. To attain that position they had to cross numerous stumbling blocks in numerous lives and had to bear innumerable insults. To attain the state of Nivritti [freedom from action, inward path by abstention from all acts] one has to cross the river of Pravritti [active participation in life and due discharge of one's duties and obligations]. They did not attain Nivritti in an instant. Based on the events of the lives of these great masters, I will attempt to put forth their views and perspectives before the aspirants. My revered Gurudev was a supernatural Mahapurusha [spiritual magnate, great being]. He always spoke from his heart and on the basis of his experiences. He had a cosmic vision and such profound and solemn depth that it could not be fathomed. I am not saying all this just because he was my Guru. I am only expressing what I experienced while being in the service of his lotus feet for a long period of time. I never heard him utter lies, criticize anybody or talk with pride about anything. He was a goldmine of virtues but never proclaimed anything about himself. It is nothing but his kind grace that I am dispensing amongst the aspirants here. The English version of" Antim Rachna" authored in Hindi by Swami Shivom Tirth Maharaj, who left for his heavenly abode on Apri16, 2008 in Coimbatore (India), is being brought out as "The Last Composition". - Of the plethora of literature composed on the tradition of Shaktipat by Swami Shivom Tirth Maharaj, Antim Rachna has been his latest work. In keeping with his desire to have the book published by Devatma Shakti Society, Mumbai and that too only after his union with the Infinite, it was released in October, 2008 though he had written it way back in 2004. Once out, the book became a phenomenal success amongst the spiritual aspirants for its wondrous and divine revelations, the kind and manner of which have never seen light of the day in print before. Few years ago during one of his discourses, Swami Shivom Tirth Maharaj had nonchalantly mentioned about the existence of some spiritual magnates who had ascended the lofty peaks of spirituality though the world knew very little or had absolutely no knowledge of them. At that time he did not come forth with anything else on the subject except that the aspirants would get to learn the details through a book that he had written and which would perhaps be his last literary work. He believed that the extraordinary events and experiences in the lives of these spiritual magnates, unknown and untold till date, would inspire the true aspirants to seek the higher goal in a more honest and determined way. 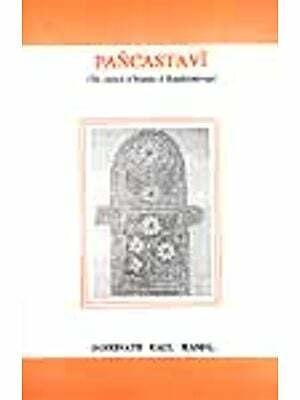 The book is an exposition on the spiritual journey and activities of four proponents of Shaktipat. They are Swami Parmanand Tirth Maharaj, Lall (the lady saint of Kashmir), Trailoki Baba of Kerala and Swami Vishnu Tirth Maharaj, the spiritual master of the author. Swami Vishnu Tirth Maharaj had attained such an exalted state of cosmic consciousness in his current life that his meditative inner journey laid bare before him not just the enlightening details of his own past lives but also those of the other three. To make these divine revelations public was obviously inconceivable for him. It was his kind grace towards his disciple Swami Shivom Tirth Maharaj that he shared his experiences about the ancestors of the lineage with him. His bountiful generosity and magnanimous benevolence aimed at the welfare of the masses also led him to instruct his disciple to pen down the inspiring details that the latter had been familiarized with. 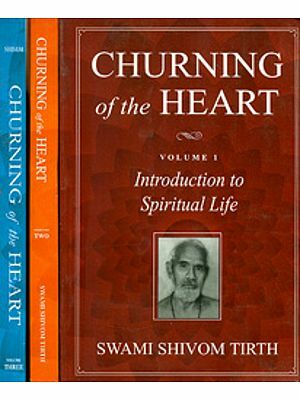 For a Guru to' consider his disciple worthy enough to be informed of his own divine experiences and for the latter to remember and reproduce verbatim, the entire conversation that took place with his Gurudev forty years back is indicative of the elevated state of divinity attained by Swami Shivom Tirth Maharaj. My hand folded prostrations to Swami Shivom Tirth Maharaj and all those enlightened masters who attained godliness in their life time and proved to the world that with patience and perseverance a genuine and a resolute effort cannot go waste. Having remained unsung and obscured to the world under their own resolve for the past so many centuries, these spiritual masters have shown great compassion and generosity towards us by willing to let us have a brief glimpse of their spiritual lives. How to profit by the windfall of this spiritual bonanza is something that each one of us has to decide for our own selves. I am sure that a reading of this book will make each one of us a serious seeker, reset the boundaries of our spiritual conduct and immediate goals and inspire us to continue on our onward journey with greater dedication and ardour. Devatama Shakti Society appreciates the efforts of Mrs. Krishna Raina and Mr. Ramesh Raina in helping with the translation of the book and of Mrs. Annada Rathi and Mr. Dinesh Rathi for undertaking its editing and finalization.